There aren’t many in existence, in fact, the 105XL is one of the most rare knives that Bill Coye makes. Check this out. With an overall length of just under 12″, you might expect this to be an extremely heavy knife, but it’s not. The 105XL comes in at UNDER 10 ounces, incredible for a knife this size. 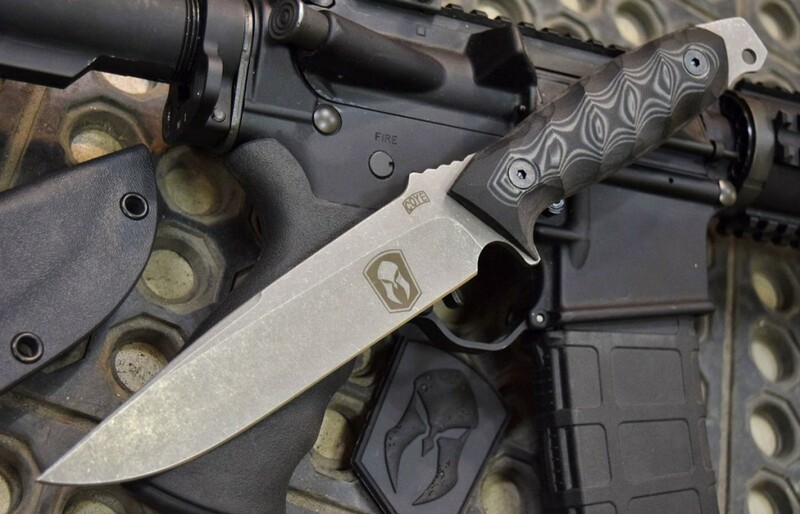 The blade steel on this 105XL is CMP154, and the handle is a carbon fiber liner with black and grey camo G10. I think it’s safe to say that I have a new bear hunting knife. Sprint run with the Monderno logo? LOL no plans to do a run of 105XL’s at this time.